How To Tell the Difference between a Genuine Factory or Aftermarket Diaphragm? 1) Often the price will speak for itself. If you find a product that costs considerably less than you’ve seen other places, then that is one possible indicator that you are not comparing apples to apples. You may have found a sale or discounted price, but in general a 50% price difference is questionable. 2) If the diaphragm is marketed as suitable for a large number of different model drivers, then it might not be genuine. Sometimes one diaphragm really IS used in many different model drivers. 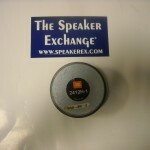 Examples: the JBL 2425H, 2426H and 2427H drivers all use the D8R2425 diaphragm, the 2446, 2447, 2450 and 2451 drivers all use either the D8R2450 or D16R2450. But, for the most part, most JBL drivers use different diaphragms for each different driver. Ther 2440 driver uses the D16R2440 , the 2441 driver uses the D16R2441diaphragm, etc. 3) If the diaphragm is a brand “style”- JBL style, EV style, then it probably isn’t a genuine factory JBL or EV product. 4) If the listing says it is the replacement diaphragm but doesn’t specifically say it is a factory or authentic or genuine JBL or EV, etc then it probably is not. We go out of our way to specifically mention Genuine JBL or Authentic JBL or Aftermarket JBL or EV or Mackie, or whatever, for each product we sell so that you can be an informed consumer. 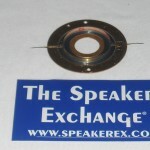 When is an Aftermarket Diaphragm a good option"
1) Some factory diaphragms are not available for certain model drivers. The JBL 2412 driver is a replacement driver only. 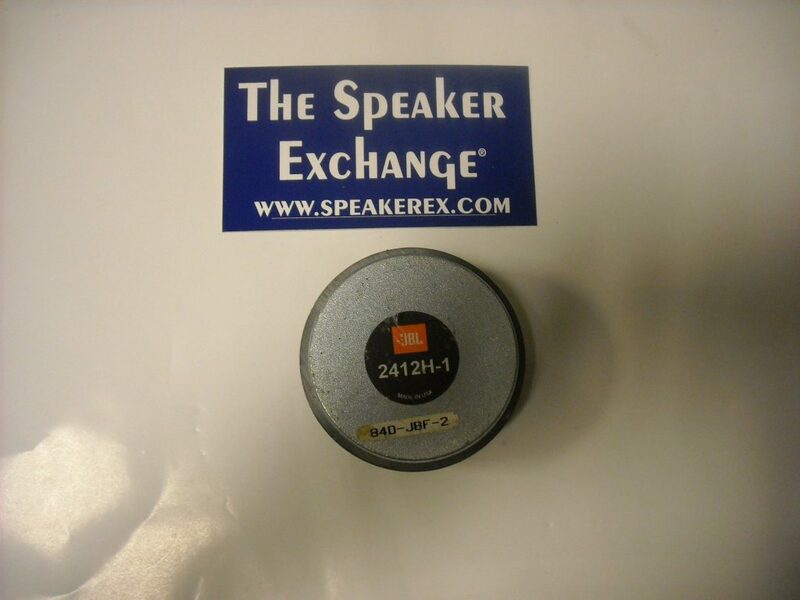 There is no JBL 2412 diaphragm, but we do sell an inexpensive JBL 2412 aftermarket diaphragm that repairs the driver. 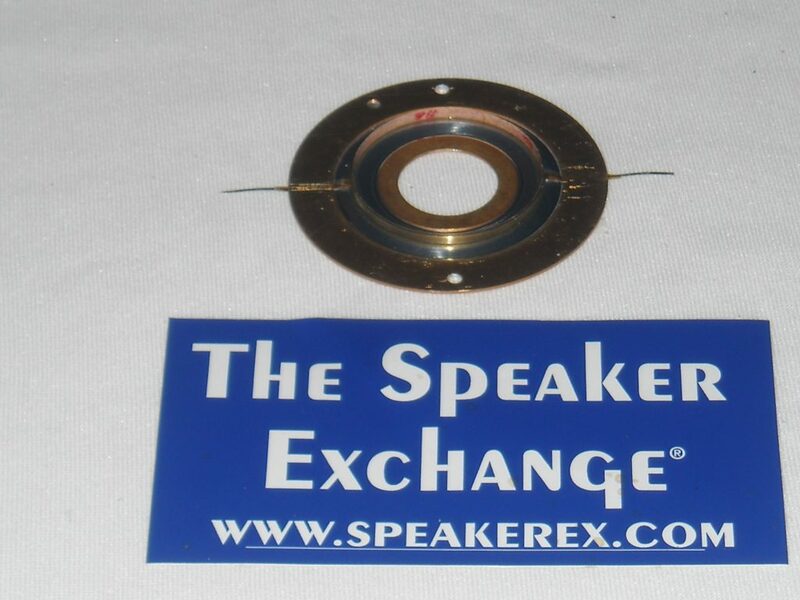 3) If the genuine diaphragm is no longer available (or on an extended backorder), then an aftermarket diaphragm might be your only alternative or can solve your immediate problem. If you find that you do not like the sound (as can be the case), then you can use the aftermarket until the original becomes available and keep the AM for emergency backup. What are the differences and can you visually see the differences between an Aftermarket Diaphragm and a Genuine Diaphragm" That’s another subject. To be continued….